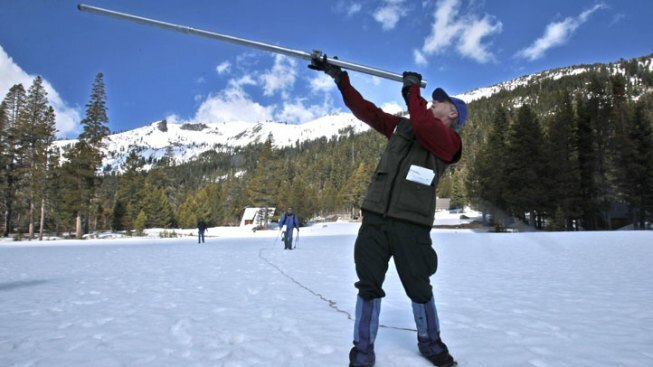 There's more bad news for California water users: the snow pack is just half the amount of normal and has already begun to melt. After a wet fall, the state recorded the driest January and February on record, and March didn't fare much better. Measurements taken Thursday show 28.5 inches of snow at 7,600 feet with a water content of just over a foot. The sparse snow was particularly alarming for state water managers because this is the time of year it is supposed to be most plentiful. Snowmelt provides about a third of the water used in households and on farms across California. The Department of Water Resources says reservoir storage will meet most of this year's needs but cautions that successive dry years could result in drought.